Do not hesitate to visit the monastery of Kobayr which attracts many visitors from all over the world. This complex was built between the 11th and 13th centuries. 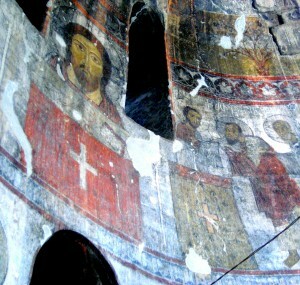 The main church is decorated with splendid frescoes. While the site is now being restored. At the border between Georgia and Armenia , the monastery has a very special history and characteristics not found on other religious sites in the Lori region. To discover all the secrets of Kobayr monastery with a guide, contact the Tourism Office. Posted on jeudi, juillet 31st, 2014 at 9 h 42 min.